Gospel Meeting with John Mundy Wednesday the 10th. 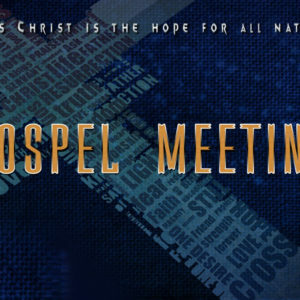 Gospel Meeting with Mike Prestininzi Monday. Gospel Meeting with Adam Shanks evening service. Gospel Meeting with Adam Shanks.